Detecting moisture intrusion problems is an excellent application for an infrared (IR) thermal imaging camera. Moisture intrusion may be identified through basic visual inspection if it has lead to obvious defects, such as staining or mold growth. ​By the time visible evidence has presented itself, however, significant damage may have already been done. 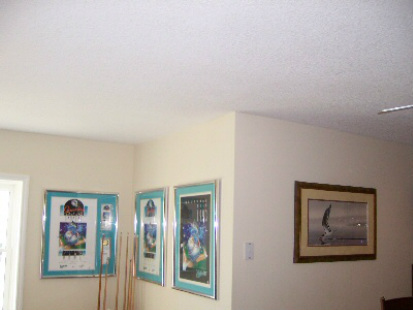 In many cases, moisture or water intrusion may have been developing for a while before obvious signs become apparent. By employing infrared (IR) thermal imaging and a moisture meter, we are able to locate moisture issues before they become large problems and lead to serious damage, as well as gather details in cases where moisture intrusion has already become obvious. Moisture damage is the most common form of deterioration for a building. Air leakage can cause condensation to form within walls, floors, or ceilings. Wet insulation takes a long time to dry and becomes a prime location for mold and fungi. 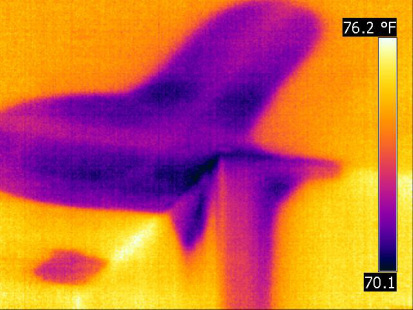 Scanning with an infrared (IR) thermal imaging camera can locate moisture that creates an environment conductive to mold. One might smell its presence, but not know where it is forming. An infrared (IR) thermal imaging survey will determine where moist areas are located that can lead to serious mold which can lead to health issues. Moisture can be difficult to spot and the trick is to make the construction change temperature. Materials with moisture will then be clearly visible as they change temperature much slower than dry materials. Where other methods only measure the temperature in one spot, infrared (IR) thermal imaging cameras can scan an entire area rapidly. Remember that water gives rise to mold growth; therefore, wherever there is a moisture problem, there will likely be a mold problem. Find the moisture problem, and you will find the source of the mold. ​For infrared (IR) thermal imaging services in Kitchener, Waterloo, Cambridge, Guelph, Brantford & London ​contact us at (226) 972-6440 to schedule an appointment today, or request an inspection online using the contact form.